The historic Church of Saint Peter stands at the heart of East Maitland surrounded by gardens that form a constant oasis of beauty and tranquility. Our church building is open every day of the year for prayer and reflection, as are our gardens. The mortal remains of many of our friends and loved ones rest in the columbarium niches and memorial garden. We invite all members of our local community to consider our columbarium or garden as the final resting place for their cremated remains, where family members and descendants will be able to come and visit in this sacred space which we will continue to care for in perpetuity. We also offer a unique opportunity for stained glass windows to be permanently installed as memorials within our heritage Church building, and for memorial flowers to be placed in the Church on the anniversary of the death of a loved one or on other special days, with the assurance of our prayers for those who have died and for all who mourn. 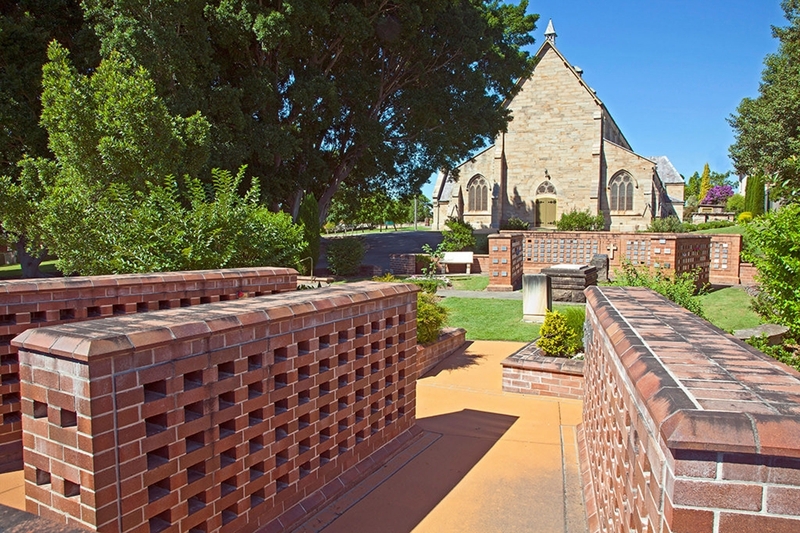 If you would like further details about organising a niche in the Columbarium or remembering a loved one, please contact our parish office for information and assistance by using the enquiry form or by phoning (02) 4934 5303 during office hours.